Will you be preparing an intimate dinner for two… or, are you entertaining for fifty? Your Sully at 55 5/16″ is uniquely suited to each culinary task. Friends, family, guests and associates will relax secure, knowing you are in full command of the event. Caterers will commend you for providing the professional tools necessary to ensure success. Your designer and architect appreciate how brilliantly your range sets off cabinet design and floor layout. Without equal, the Sully is a masterpiece — one on which the world’s foremost chefs create masterpieces of their own. 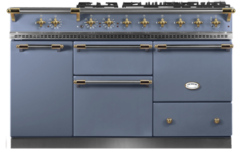 The Sully has it all: a stepped array of up to seven burners (or up to six burners and a cast iron simmer plate) plus two ample ovens — any combination of gas, electric or convection. Stay cool in the kitchen… your Sully can take the heat. 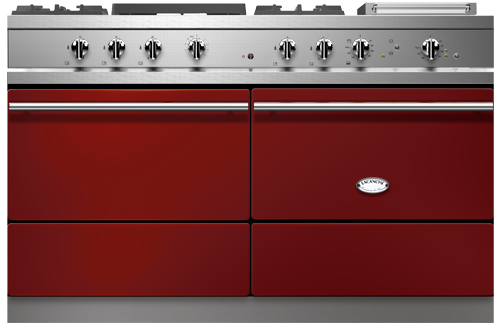 Click the button below to configure a Sully moderne that is perfect for your kitchen. 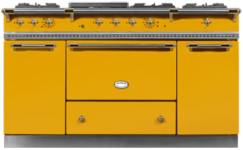 The large Sully-sized ovens are 21w x 12h x 18d (*16d with convection). Your choice! You may make the ovens both gas, both electric, or one gas and one electric. If you choose to make one of the ovens electric it will come standard convection electric with a toggle switch allowing to convert to static electric. Our matte black finish is considered to be standard, and all other color finishes, including stainless steel, are considered to be premium color finish upgrades. The color upgrade charge for a Sully is $1300. My Lacanche is my favorite thing in our house. Its elegant simplicity and superb craftsmanship make it a joy to cook on. I especially love the very large burner, which heats up large pots of water in no time at all. I make jams, applesauce and tomato sauce and the canning process requires heating a very large pot of water. The Lacanche does this in a snap! We also turn out absolutely perfect roast chicken from the fabulous ovens. The entire team at Art Culinaire has been a joy to work with. I can't wait to build another house, so that I can choose another Lacanche! The Sully. Seriously. 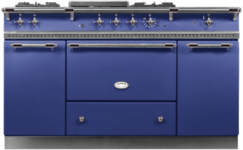 Why wouldn’t you get full-size double ovens? At Easter brunch we put ham in the gas oven and hot cross buns in the electric. At Thanksgiving its turkey in the gas, pumkin pie in the electric. At Christmas it’s prime rib in the gas and pecan pie in the electric. There’s really no question- the Sully is where it’s at for entertaining. P.S. If you run out of oven space, there's about four and a half feet of burners we haven't even talked about yet. 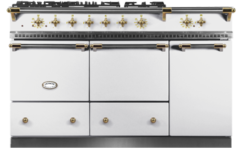 When remodeling our kitchen we explored all types of ranges and selected the Lacanche traditional plate classique in matte black with stainless and brass knobs. The range is beautiful and truly a conversation piece in our kitchen. 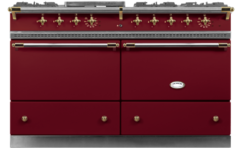 But, more importantly, the Lacanche range's function equally matches its form. We entertain often and cook various ethnic dishes that require high heat, searing, sauteing and warming. 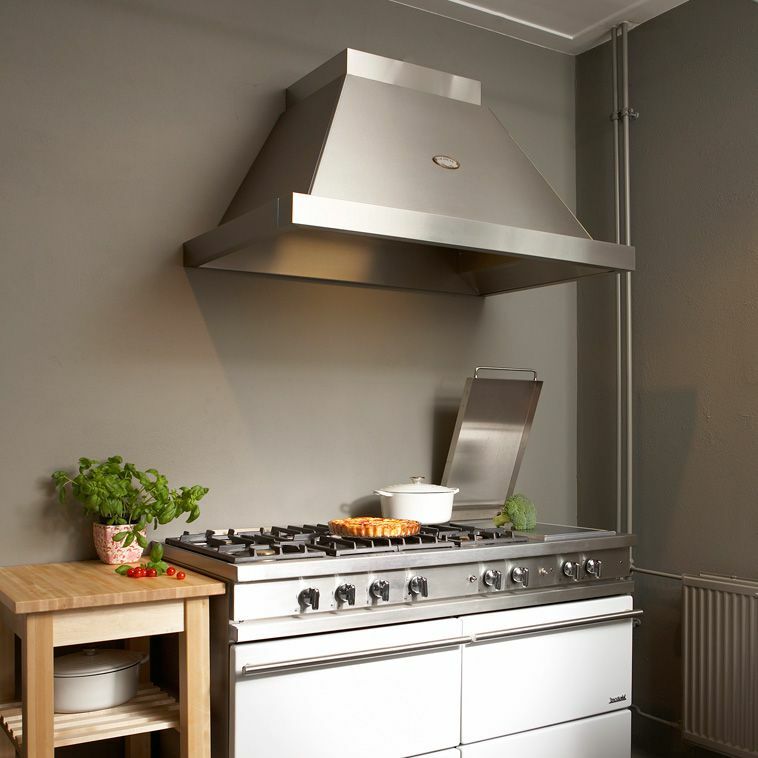 The flexibility of the range and accuracy of the electric and gas ovens have lead to many successful dinner parties! A. For the Sully model, choose an overhead canopy with the following optimum specifications: 60″ wide (66″ for Sully island applications) x 24-27″deep.